To compete with 4G operators, Bharat Sanchar Nigam Limited (BSNL) is rapidly expanding its Public Wi-Fi services in major cities and tourist destinations across the country. 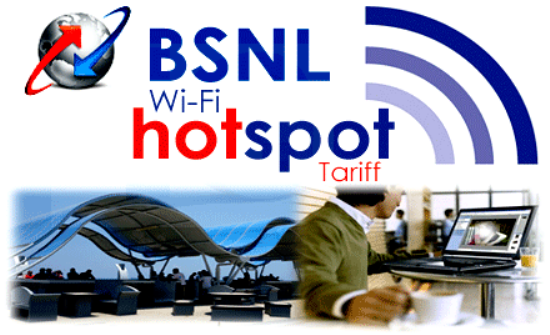 Till now, BSNL has been offering duration based unlimited usage prepaid Wi-Fi plans to all retail customers. Now, the PSU has decided to revise all existing prepaid W-Fi Plans from duration based to volume based from 1st February 2016 on wards on PAN India basis. BSNL commissioned more than 650 Wi-Fi Hotspots and plans to install a total of 2,500 hotspots in the current financial year itself. These instructions shall be effective with effect from 01-02-2016 in all the circles. This tariff is also applicable to prepaid WiFi customers in major Ghats of Varanasi. All other terms and conditions shall remain same. The major change in this latest revision is that, from 1st February 2016 on wards, customers may not get unlimited WiFi usage rather their usage will be counted as in the case of mobile data packs. However, the PSU has not announced the revision of FREE WiFi plan which offer 15 Minutes of Unlimited FREE WiFi usage once in a month for same mobile number. Dear readers, please share your views and opinions about this latest tariff revision by BSNL via comments with us. How many of you have experienced BSNL's public WiFi services? Please do share your experiences with us.